Hair styling isn’t something new to me, but it is something I hadn’t done in a while. You see, about 7 years ago I decided to shave the dome and say good riddance to hair products. Wax on? Wax gone. Hairspray? Hair-nay. *cough* excusethepuns *cough* However, last year I decided to grow it all out again, which brings us to today's post. When I started getting enough hair to style, I did this weird thing where I asked all my dude friends what hair products they used. Using this data I compiled a spreadsheet of… Nah, I’m just kidding. They all use Gatsby. 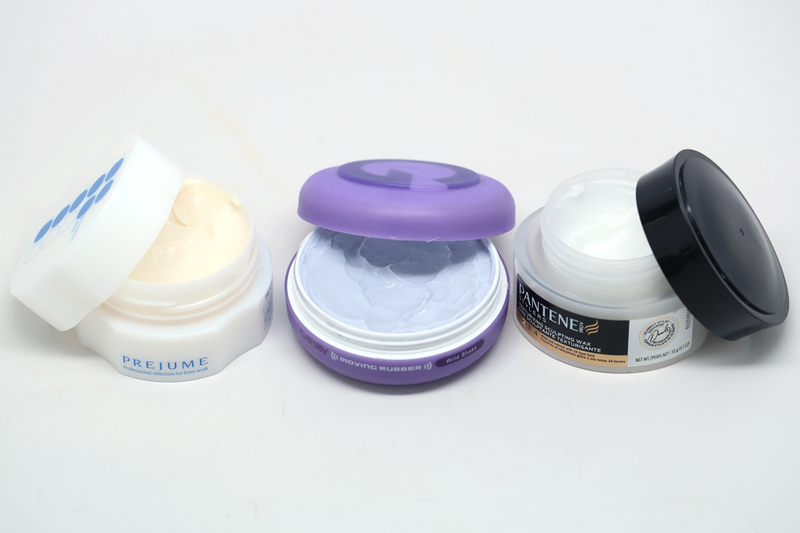 However, being the official, scientific, FHTT man-hair-guinea-pig that I am, I wanted to share my review of three different hair waxes. Here is how all the products I’ve recently tried measure up to each other. Gatsby, Prejume, Pantene stacked up. Heh. It's important for me to have my hair look productless, so wax was high up on the list of things I wanted to try. 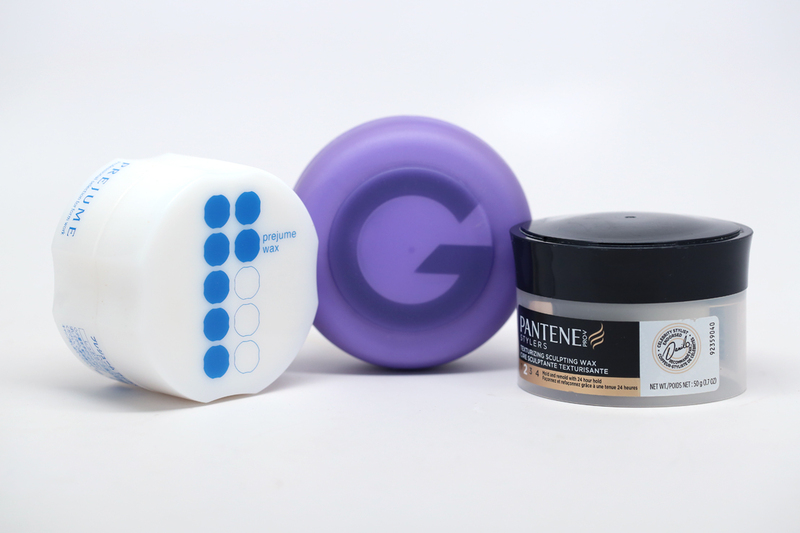 Pantene’s texturizing wax gives a decent hold, but not nearly as strong as I was hoping. The wax does dry clear though, so its easy to keep the hair looking natural. Plus, I liked the smell, so extra points for that. Next is one of my favorite products to use, Gatsby WILDSHAKE hair wax. More commonly known as ‘the purple one,’ it gives a solid hold on hair without making the texture look GI Joe plastic. Plus it has almost a grape smell. Keyword is almost, because it still smells mostly like what you would expect manufactured hair paste to smell like... but with a touch of grape aroma? One thing I really liked about this brand is that they sell smaller travel versions that allow you to test run the different types. Very practical for picky guys. Finally, I came across the last product while I was with Jen at a hair salon in Korea. Prejume Wax 7 (another Japanese product like Gatsby) holds really well, even in wind, and is easy on the hair when applying. It also left my hair looking the most natural in style, even after shaping it. The smell was a bit like Gatsby, but with a bit less of the plastic harshness. I’d say one of the only downfalls is the price, which could get you almost 2 Gatsbys instead but that’s a problem I’ll deal with when it runs out. It's really a Goldilocks situation here. 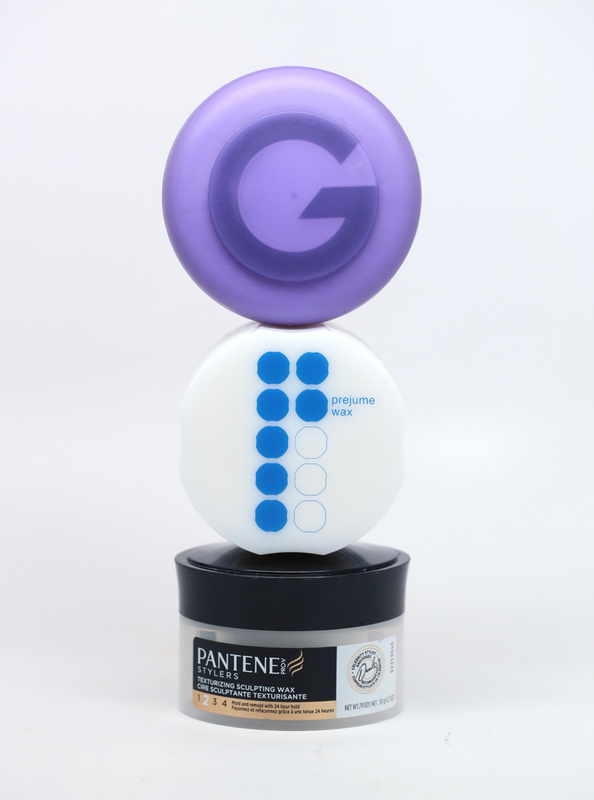 Pantene is kinda like the little bear, working best on finer hair textures. Gatsby is like papa bear, using its strength to wrestle thicker hair into place. Prejume Wax 7 is a great middle ground and currently is my "just right." All my guy friends looove that Gatsby wax. When I can get them on sale they always ask for that 'purple' one haha. Such great timing to you Ben and Jen! My hubby just went to my hairstylist and he has super thick course hair. Will definitely pick up Gatsby for him to try out. ^_^ Great review! You should try hair clay. I've never tried it but I hear its like wax but with more of a natural finish but its on the pricy side. I've bought the purple Gatsby for my brother at Watsons when I was in Shanghai and he was so happy about it! It's great stuff! haha, I was thinking, what? Jen shaved her head 7 years ago...then I realized this is not Jen talking, haha! I've heard good things about Osmo Clay Wax, if you'd like to try that. It has minimal scent and a very natural finish. Best of luck with the hair!